Want to know how to improve your land’s soil quality? If you’re looking for techniques and tips for soil improvement then continue reading on. This is what every homesteader needs to make the most of their land. Get healthy soil for your crop, vegetables and even flower garden! With many techniques for improving the quality of vegetation, one has to consider that only so many can be carried out in a growing season. The best situation would be to employ the most organic techniques and do the least amount of fertilizing with no pesticides. Let’s cover the bare basics involved in creating an abundant soil to provide a solid starting path for your garden. Throughout the many experiments over decade and decades of research from farmers, to monks and scientists, we know several key things about plants. Nutrients are the overall key to keeping plants alive and developing into the fruit-bearing providers that we know so well. Nutrients are delivered in the soil and through root structures. What has been studied immensely is that soil farmed season after season is losing important nutrients. This concept is easy to understand when one visualizes the roots taking nutrient into the plant, then removed by harvest and into the consumer. With no replacement nutrients it is clear that soil gives way to dust and organic, nutrient-dense food is no longer produced. Most modern day farming technology is focused on providing the plant itself with fertilizer rather than the soil. This is a losing game, whereas the scientific farmer fixes the soil foremost. Rescue chemistry will not save us from a dust bowl epidemic. There is science to back this up, and one sure-fire test is easily performed with the Brix chart. This refractometer-aided test allows one to take color readings and see nutrient loss in produce. There are a multitude of kits available to test soil PH. This is the first step before deciding where to plant a garden. If you’re looking for land to purchase then this will help determine where growing crop is possible. If you already have land access then you may find that treating the land is pertinent. Since this is usually the case, and the focus of this guide, we will start here. Soil Ph is determined by acidity and alkalinity, which can tell us several key things about the soil. This not only influences how nutrients interact within the soil but also provides information on soil structure and toxicity. 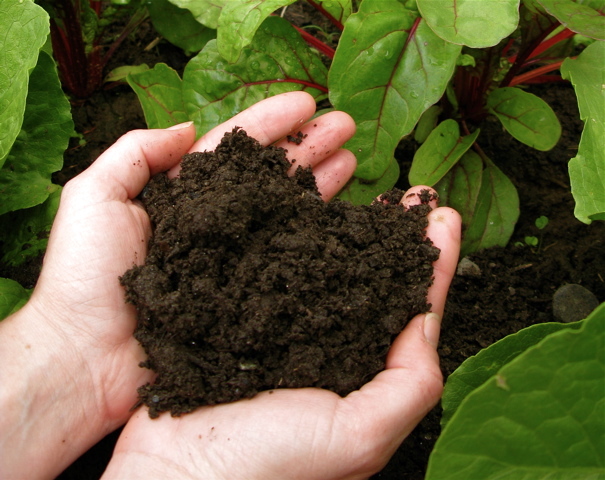 5.5 to 7.0 is the advisable soil PH you’ll want to aim for, as it will produce healthy plants. Lime or dolomite will help increase the PH, due to the calcium and magnesium present in both. However, certain bacteria will keep these factors in check however, this is determined by nutrient levels. We will want to introduce some kind of food for our soil dwelling friends. The soil audit will tell us exactly what is needed. From here we will explore the various ways to amend the earth we plan to farm. N, P, and K, OK? While I intend to keep the chemistry basic, we’re going to have to delve in a little bit. There are three basic elements needed to really make soil successful. Nitrogen: You can’t farm without this; it’s the main source of color that our refractory test looks for. Phosphorus: Scientists guess that up to 1% of actual plant mater is phosphorus. It’s the thing that makes plants physically grow in size. Potassium: This is where plant strength comes into play. Roots, stalks and leaves owe their protection from wind and other outside forces to this element. When you see plants being to develop brown or white spots you can now know that they are in desperate need of Potassium. By this point, you may still be asking the question ‘what will be done to save our soil?’ The answer is not in a conventional fertilizer, and the reasoning is clear. Even without the application of harsh industrial fertilizers, the topical use of N,P, and K will be washed away or leached before ever making way to the root strata below. Although foliage (stalk, leaves, and branches) can absorb nutrition, the process is lacking in efficiency and speed. Thus, overall soil nutrition remains of the utmost importance. Finished compost delivers the whole cafeteria of nutrients. This is the natural cycle that once took place on the land, but has since changed with modern farming techniques. By properly managing disposal of plant refuse we can instill the same nutrients once lost in farming back to the soil through the practice of composting. While certain composting practices have not yet been developed, (dealing with human bodily waste) many composting practices today deliver nutrient rich humus back to the garden. While the specifics of such practices are widely disputed and work in many different ways it is important to concern yourself, the farmer, gardener, or just plain grower, with the return of nutrient dense materials to the soil. Testing is important. Knowing what kind of soil you have in the homestead is always the first step to success. Determining it will help you take the next steps to improve the quality of your soil. Try these techniques and tips and you’ll be sure to have nutrient-filled soil all the time! Do you have any tips you personally use around your homestead? Share it in the comments! I’d love to find out. And if you ever come across clay soil, here’s how you can amend it!